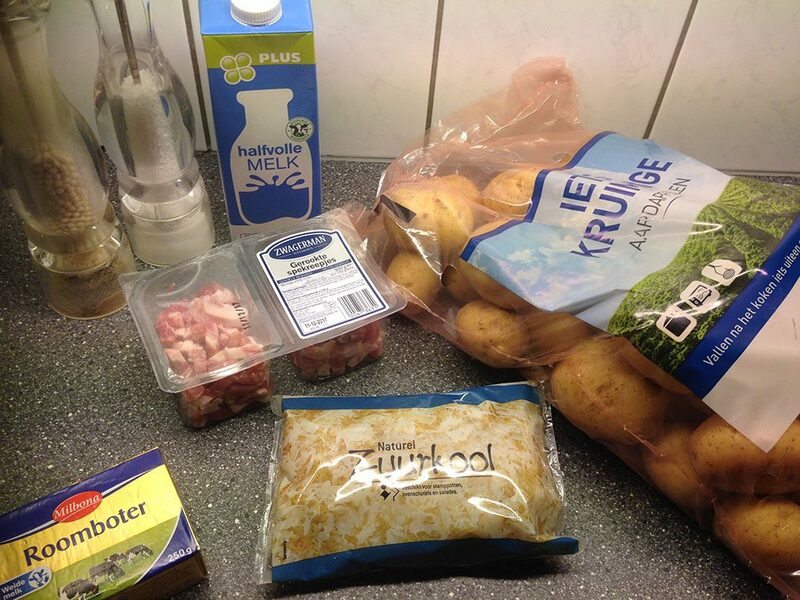 A classic zuurkoolstamppot is a Dutch dish, very easy and made within half an hour. A simple mash, yum! Can be made without bacon. PEEL the potatoes and chop them into chunks. BOIL the potatoes for about 20 minutes, depending on the size of the chunks. 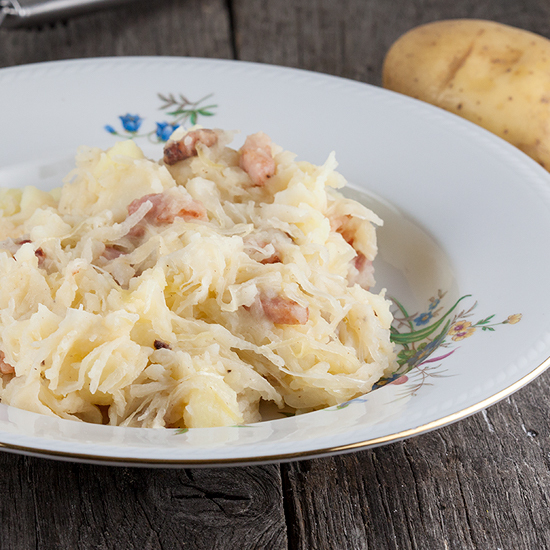 DRAIN the sauerkraut to remove any liquid from the package and ADD the sauerkraut to the pan after about 10 minutes. 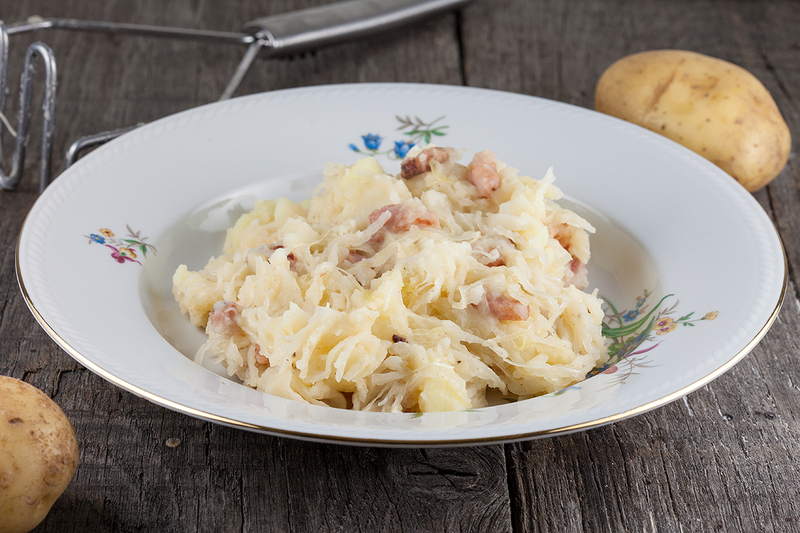 If you add the sauerkraut too soon, it will become mushy. COOK the bacon in a skillet under they’re crispy. 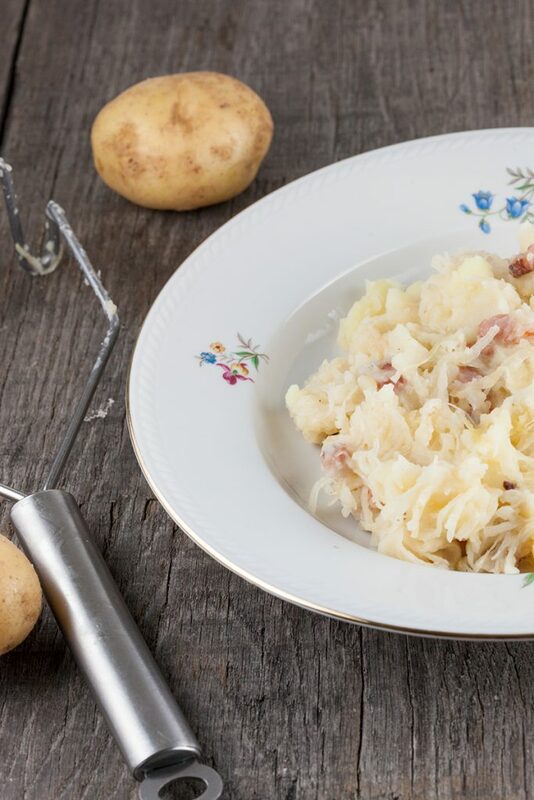 DRAIN the potatoes and sauerkraut in a colander and TRANSFER them back into the large pan. Use a potato masher to create a mash and ADD as much milk and butter to create a creamy consistency. ADD bacon and SEASON with pepper and salt, be careful with the salt because the bacon is already quite salty. SERVE with mustard and a smoked sausage. Enjoy! There’s no back in in stamppot zuurkool….it’s served with smoked sausage or meatballs. We love our zuurkool stamppot with a crisp fried, in butter of cause, pork lion chop. Love a chop with a lot of fat and the skin crisp as well.